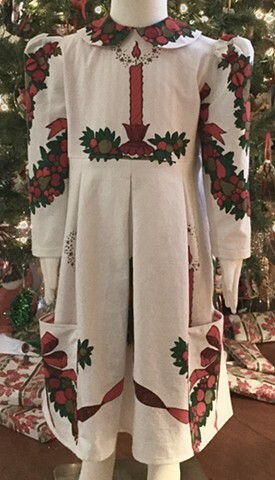 All dressed up for the holidays! 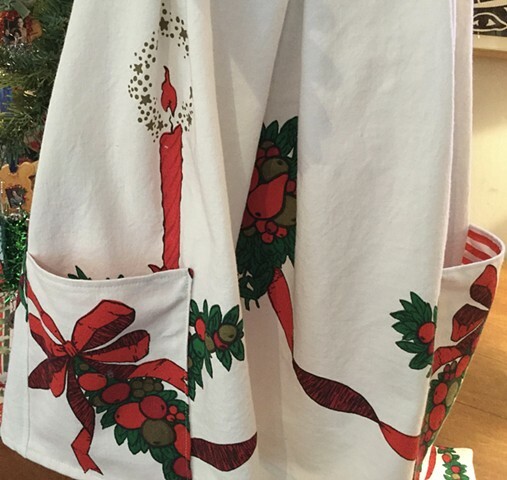 Made from up cycled Christmas tablecloth featuring candles and red ribbon print, this elegant long-sleeved dress features candles, holly, ribbons and apples. 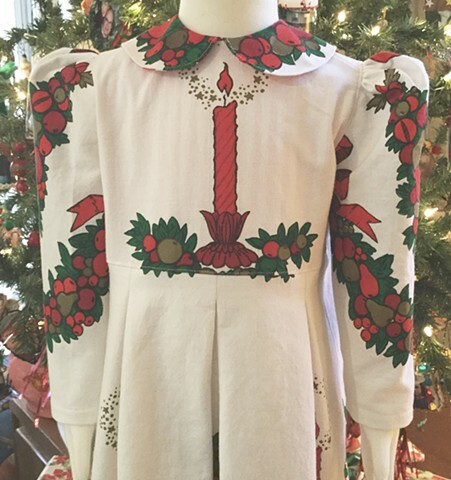 Bodice and collar are lined in festive red and white stripes, big pockets, size K-1st Grade (5-6 years), measures 24” waist, 26” length. Round collar, ties at waist, closes all the way down the back in green and red buttons. $70, 100% cotton, washable, made by the designer herself and shipped free to any address in the U.S.